L'Oréal Paris has been one of my favorite drugstore beauty brands. Every time I need an affordable, but good working makeup product I can always trust this brand. So, as you have probably guessed, today I want to review one of the most famous makeup products - L'Oréal True Match Concealer in the lightest shade 1N Ivory and share with you my first impressions about this product. L'Oréal concealer comes in the most comfortable packaging ever - the classic lip gloss like tube with a soft sponge applicator. I know it is not the most hygienic packaging for something, that you are going to apply on your pimples and blemishes. But, let's face the truth, such application is the easiest and the fastest. Open up the tube, pass product here and there and you're done! Now let's take a look a detailed looks at the product itself. The formula of the concealer is water based, it is light and a little bit runny, so when you apply it on the skin, it fills in the fine lines around. The product beautifully blends in with the texture of the skin and provides decent, medium coverage. When I first opened the concealer, I perceived the light scent of alcohol, but when searching an ingredient list, I haven't find it in there. 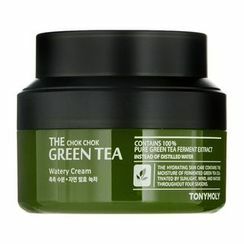 The product claims to be oil free, so it is a great news for those, who have an oily and acne prone skin. Have you ever tried L'Oréal makeup products? Which is you favorite concealer at the moment?